One of the largest producers of tea in the world, India is a home to number of tea estates with main being Assam, Darjeeling and Nilgiri. 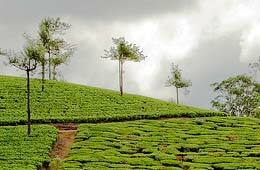 Dream destinations for any tea connoisseur, Indian planters and government are trying to explore tourism potential of these destinations by turning them into major tourist attractions. For all those who love tea, taking a tour of tea gardens would undoubtedly be a fascinating experience for them. 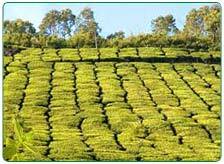 India Profile offers to give you online information on tea tourism packages, India. 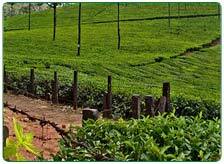 Tea Tourism packages offered by India Profile are not only interesting but are also attractively priced making your tour a memorable one. The packages would not only include a tour of tea estates but also a visit to the tea factory giving you the opportunity to understand the making of a tea you drink so often. Besides, you can also indulge in adventure activities like hiking and jungle safari in the jungles surrounding these tea estates. 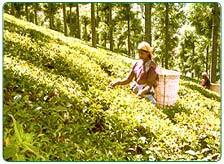 Or you can simply spend time in the tea gardens and observe the method of plucking the tea leaves done carefully by the workers there. With tea tourism picking up fast, Indian planters are making sure that tourist�s visiting these tea estates are provided with luxurious accommodation facilities in the tea garden vicinity. Besides the concerned states Governments are also allocating funds to boost tea tourism in India. 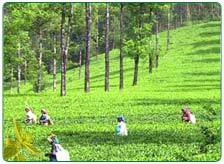 Tea Tourism Packages India also include wonderful stay in some of the best resorts. These luxurious resorts are beautifully placed in the tea estates and are well facilitated making the stay of its guests comfortable.